Vans takes viewers behind the scenes of the Horween Leather tannery, where the esteemed company has produced quality leathers for the past 91 years. Vans Off The Wall takes viewers behind the scenes of the Horween Leather tannery in Chicago, where the esteemed company has produced quality leathers for the past 91 years. 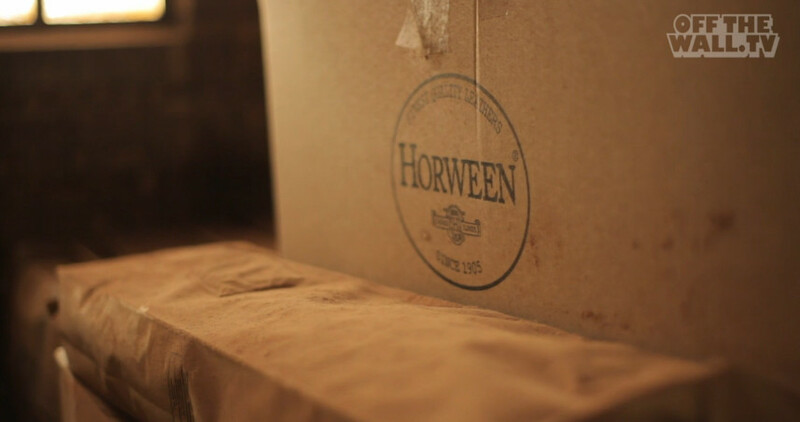 "There are faster and cheaper, but we want to be the better ones," explains Skip Horween, President of the Horween Leather Company. Horween, well-known in the premium footwear world for its Shell Cordovan and Chromexcel, will team up with Vans this year on a series of shoes (many of which make cameos in the video).